During the past couple of years, more and more wine bloggers have started showing up on The Rock. I'm not sure whether the Cyprus Tourism Organisation is doing a better job promoting the Cypriot wine industry or these bloggers are stumbling upon bottles of Cypriot wine that have piqued their interest. In any case, the more the merrier as long as they leave some wine for the locals. 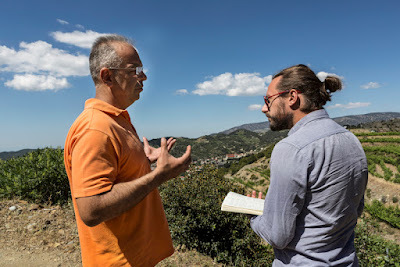 One of the latest blogger's The Rock has welcomed is Jean-Baptiste Ancelot, a wine professional who runs Wine Explorers, an ambitious project that seeks to "highlight the richness of the world’s vineyards and reveal unknown and very original great growths and hidden treasures from far away winegrowing regions." 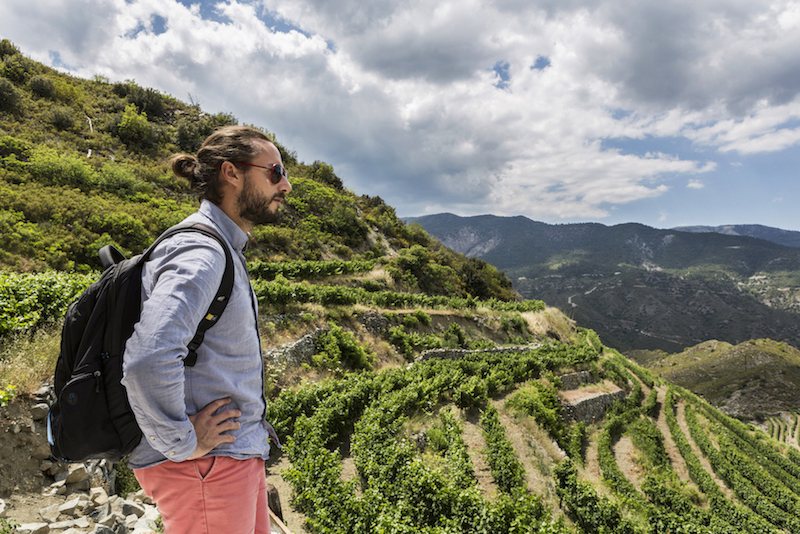 So far, Wine Explorers has spent three years on the road, having visited 92 countries, 250 wine regions and 1500 vineyards and sampled more than 15,000 wines. Cheers to that! 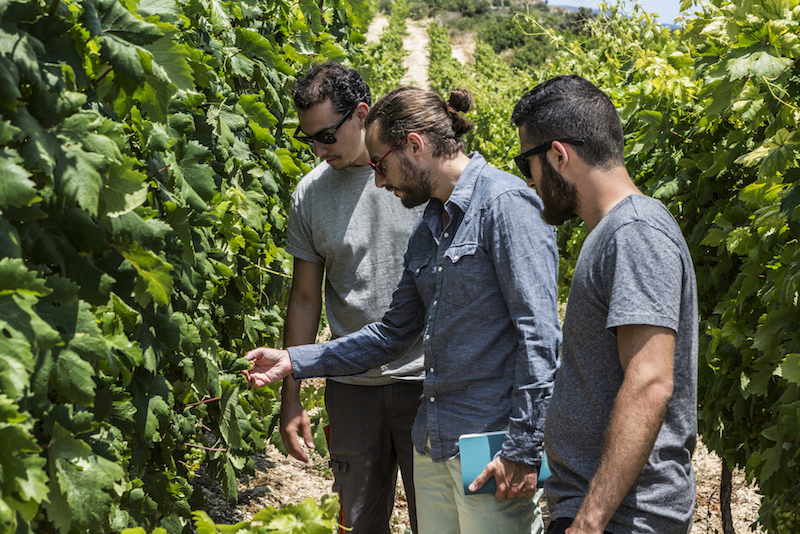 Cyprus finally made in onto the list and, following their visit during the summer of 2017, Wine Explorers had plenty to say about our humble island. As is generally the case, Whine On The Rocks reached out to exchange a word or two with our visitors. Wine Explorers (WE): Good question. This is a mystery to me. I will always remember the day the light suddenly clicked in my eyes when tasting wine. I was 22, living in my hometown in the north of France (where no vines grow - ha-ha!) Invited to a live jazz show in a very small wine bar, I fell in love with the special atmosphere of the moment: the wine we enjoyed on this evening (I forget which labels) was the link between people from many horizons and that amazed me. Coming back home late in the night, I literally searched “wine jobs“ on the Internet: I wanted to know more about it and see if I could apply for something. But the list of jobs in wine is infinite! And I get lost. So I decided to apply for wine education in Bordeaux (not very original but super efficient) and then did a Masters degree and an MBA in wine business. It was so interesting! At the time, I did my internships in Switzerland, Hong Kong and New York in order to open my mind to some of the most important wine business places of the world. But I wanted more. My dream was discovering the wine world through my eyes. So I researched for six years and found out that the “real” wine world in the 21st century was made of (almost) 92 wine producing countries and decided that the only way to better understand my passion was to visit all of them. This how the Wine Explorers’ project started: a four-year exploration of the wine planet with a unique question in mind: What if the great wine terroirs had not all been discovered yet? Today, Wine Explorers is the first and only global wine inventory ever made in the history of wine, and we are very happy to share our discoveries each day. WE: As kids, we were not allowed to drink, even a drop. I had to wait until I turned fourteen in order to have my first drops of wines. It was Christmas time and my mother served us her traditional and incomparable foie gras, pouring in my glass some Gewurztraminer Vendanges Tardives. I still remember the syrupy taste of wine in my mouth. Memorable. WE: Such a difficult question. Just for the Wine Explorers’ project, we have already tasted more than 3,200 wines. How could I pick one – ha-ha! I recently discovered in Thailand a cuvée made of Durif (Petite Syrah) from GranMonte estate. This was a shock to me: I was in an extreme climate region of the world, where it is possible to harvest twice a year and the wine was so delicate, dense, precise, full of energy and delicious red fruits. I instantly loved it. Proof that with technique, knowledge, hard work and the best quality grapes, it is possible to make (very) good wines in unexpected parts of the world! WE: Again, difficult question – ha-ha! I have to name a few, with your permission, as I loved them equally and for different reasons. The Valle of Guadalupe in Mexico for its super dry wine production area, full of life and energy. The Okanagan Valley in Canada for its wild and lovely wine scene. Or Dalmatia in Croatia for its diversity in terms of autochthone grape varieties. And there are so many more! WE: Food-and-wine pairing is a very personal subject. Depending on the moment, the people with whom you are (girlfriend, family, business, etc.,) the place, the weather, changes everything. The best match at the end of the day will always be the one you like, even if not conventional. Also, what is conventional? But this is another debate. Today is summer time, we are enjoying an octopus carpaccio and I deeply love the sur-lies Xarel-lo from Penedès that I’m drinking with it. WE: Nothing! Cyprus wine history is 5,000 years old. 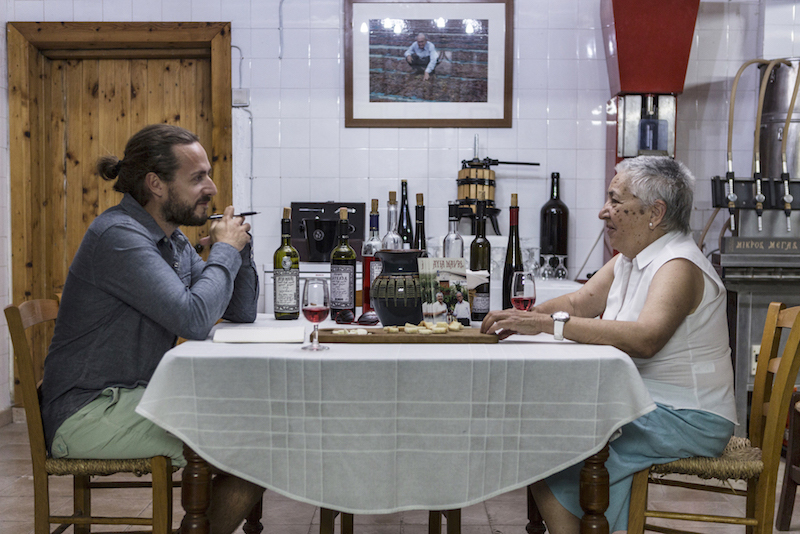 The island is beautiful with a unique climate and topography, talented winemakers and a delicious local cuisine that goes great with its wines. Look at halloumi: with a glass of Cyprus white wine, it is a little moment of paradise. You also have many super interesting indigenous varieties like Xynisteri, Promara and Morokanella (white) or Maratheftiko and Yiannoudi (red), for example. And, above all, you have Commandaria, this unique and delicious amber-coloured sweet dessert wine made on the foothills of the Troödos mountains, which is the world's oldest named wine still in production. What else? This is what I call a precious and invaluable heritage. 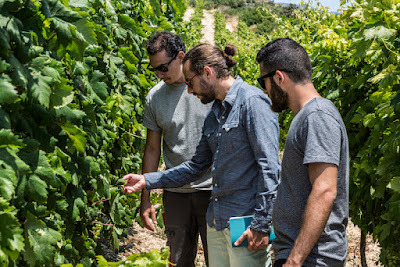 WE: To focus on what makes Cypriot wines so special and unique, as mentioned above. What's important nowadays, in a world producing more wine than is consumed and where the competition is harder than ever (good quality wines can be made everywhere), is to market “what makes you different/unique from the rest of the world,” therefore creating a strong identity. It shouldn’t be difficult to look at the potential Cyprus has in its hands. WE: Every day is a new day! I get up every morning with the same stars in my eyes and a unique question in mind: what’s going to happen today? And the more I learn, the more I realise I don’t know anything about the wine world. It is infinite. It can be affraying. I prefer saying to myself that it creates its own beauty. Wine has something magical. WE: At the moment, we are halfway through the Wine Explorers’ project with 52 countries explored in 2.5 years of travels. (Cyprus was n°50 a few weeks ago!) It should end in October 2018. Then, many projects are planned, which is also very exciting! The “after“ project will result in books, documentaries, the creation of wine bars, an online website with information, videos and the possibility of enjoying wine bottles we discovered. Consulting and conferences are also a big focus in order to share and exchange information about the wine world. Our first important conference will be next year during the Masters of Wine’s Symposium in Spain where I’ll be a speaker. And there are many other ideas; travelling opens your mind all the time! WE: The people behind the wine are usually my best friends and I respect them a lot. I don’t know if I could be capable of making a great wine one day. I have the easy job: travelling and tasting. The winemakers, the viticulturists, the workers in the vineyards, these are the real “kings“ to me, if I may say it like that. A person like Jean-Claude Berrouet is a good example to me and I admire him a lot: someone talented, discrete, with more knowledge than many people, but always very humble, curious, kind and with a smile on his lips. A mentor to me. WE: Waiting three days in front of the gates of one of the two Ethiopian wineries was a moment as strange as stressful. After two days of travels in the middle of nowhere, we were so happy to finally arrive at Rift Valley winery. And we didn’t know why it was so complicated to get in. In fact, people were just checking our records and reading everything we already had published in order to see who and how we were. Finally, we were invited to come inside and received the red carpet treatment. One of my favorite memories. WE: Two (small) islands are coming to mind right now. And both deserve to be visited at least once in your life if you are a wine lover: Waiheke Island, near Auckland (New Zealand), and Korčula in Croatia. But there are so many more! You can contact Wine Explorers via their Website, Facebook, Twitter or Instagram.